This is some sort of agate, but I can't identify it. 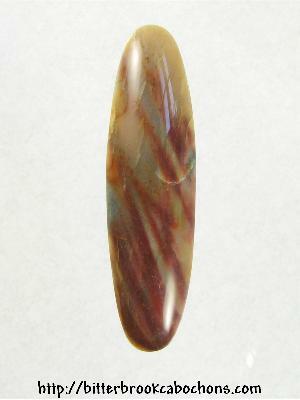 It's a cousin to this cabochon, but it has a flaw: there's a fracture on the right side; large enough to feel. A low price on this one. 52mm x 14mm x 5.5mm. Weight: 30.10 carats.